Premier Furniture Services (PFS) customers can be confident that they will benefit from the most professional, cost effective office furniture installation services available in Orlando and throughout Central Florida. Our furniture installation services include receiving, warehousing, delivery, assembly and installation of all types of cubicles, desks, chairs, conference tables, school furniture and wall hung boards. Located in Orlando, PFS has a 16 year history of performing quality installations of new cubicles and the reconfiguration of existing office furniture, coast to coast in Central Florida for a wide variety of furniture dealerships and end users. 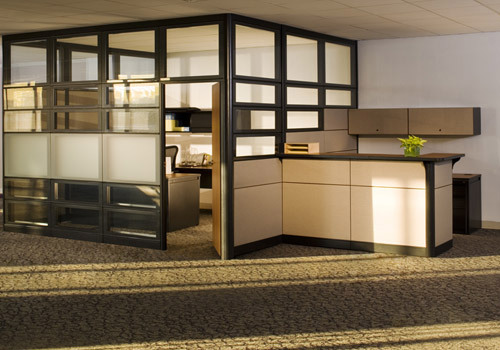 PFS has wealth of experience installing most brands of modular furniture including Herman Miller workstations, Steelcase panel systems, Haworth, Knoll, Hon, AllSteel systems furniture, Teknion and many more. We are equally adept at installing a wide variety of case goods, wall hung items and artwork. Our crews are skilled, full-time employees, in uniform, with the commitment and capability to complete your office furniture installation on time and within budget. We look forward to the opportunity to discuss your office furniture installation project. Please contact us at 407-852-6849 or by e-mail at pfsorlando@gmail.com.